Standing on a perilously overcrowded platform of Town Hall station, watching a young mother with a pram despair of getting onto the packed train, reminded me that Sydney has one of the worst public transport systems in the world. And that’s not just a disgruntled passenger, or should I say ‘customer’, talking. The 2016 PricewaterhouseCoopers’ report, Cities of Opportunity, rated Sydney as the fourth worst metropolis to live in when compared to 30 other international cities – and at the same time the most expensive to cope with in terms of transport. Anyone caught up in the train system meltdown last Tuesday, January 9, would have no doubt about our increasingly dubious global status. Allegedly the Sydney Trains crisis arose from a combination of wild weather causing equipment failure and a new timetable wound so tight the slightest disruption is immediately magnified across the whole network. Commuters lucky enough to force their way onto trains were packed in like live-export cattle while police stood by to ensure order. Rail workers forcibly restrained people from accessing platforms to prevent disastrous overcrowding of the run-down, ramshackle stations. For anyone caught up in it, it was a frightening, chaotic mess – and certainly not something you’d expect from a city priding itself on its sophisticated lifestyle and easy-going, cosmopolitan culture. But maybe we should have seen it coming. Because it’s clear public transport has never been this government’s priority. Last May, news emerged that the government was ordering transport officials to ignore public transport alternatives in favour of promoting motorway projects. In the same month, Sydney Trains went into damage control over a report that found systemic failures in rail maintenance and inspections across the whole network. Public transport doesn’t matter. Premier Berejiklian might trumpet, “We are committed to making public transport better for everyone.” But the emphasis remains on privatised road systems currently consuming tens of billions of public dollars, turning whole suburbs of Sydney into visions of smoldering disaster worthy of Peter Jackson’s Lord of the Rings and promising nothing more than spreading the contagion of congested roads further across the metropolis. 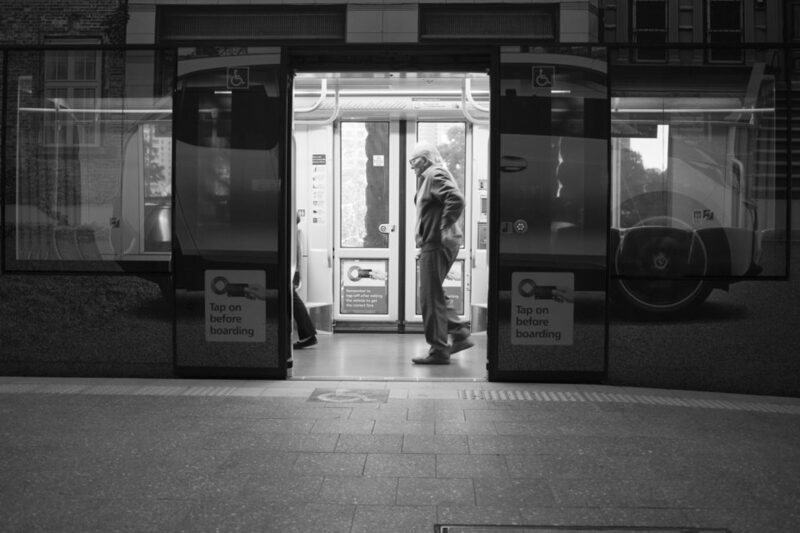 Trains and buses deliver the shop assistants, office workers and other professionals that keep the city going from where they have been pushed, the outer suburbs they can afford to live in. Places like Glenmore Park, near Penrith, and Engadine, 33 kilometres south of the CBD, have come to be the dormitory suburbs of police unable to afford anywhere closer. Nurses congregate in distant suburbs like Blacktown and Quakers Hill. Meanwhile the roads are clogged with tradesmen making their own way east – from Baulkham Hills and Parramatta to the fashionable suburbs of Bondi Junction and Darlinghurst – in order to refurbish the bathrooms and fit out the fashion stores that service those lucky enough to live there. It’s a crisis that has caused Sydney mayor Clover Moore to successfully lobby the state government to include subsidised public housing closer to Sydney city in order to ensure a minimum of essential services. Sydney is a city divided between the rich and poor, the whites and everyone else; and tasteless as it might be to point out, the further west you go from Bondi Beach, the darker everyone becomes. Anyone who claims the working class doesn’t exist needs to take the 6 a.m. train from Penrith to see the sea of black faces snoozing as they rattle toward their cleaning and construction jobs in what people still call ‘The City’. The good life on parade at Bondi Junction Westfield withers by the time you get to Parramatta and beyond, and the friendly smiles and witty chatter slowly turns into something else as you go further along the line from Town Hall station to Penrith. Or Wollongong. People commute from Wollongong, leaving before their kids wake and arriving back from work after their kids have gone to bed, because, as Federal Treasurer Scott Morrison tells us, workers need to be “flexible”. Inequality has not reached the ‘Gilded Age’ levels of the United States just yet, but it’s on its way. A country where 50 per cent of the population owns only six per cent of the wealth is not a happy country. But you don’t need to take my word for it, because you can see it yourself in the faces of the people crowded into the packed trains trundling along the creaking rails every morning to service the newly enriched in the elegant fashion boutiques popping up along George Street. Sydney began as a penal colony, and our shameful history and Rum Corps corruption is still there for anyone to see. Eventually, convict transportation was stopped and Sydney became a funnel through which new migrant people entered the country to fill its factories and work gangs. First the English; then those refugees from starvation and oppression, the Irish; then the world’s adventurers, the Americans and Chinese looking for gold; then more refugees from more wars, Europeans fleeing disaster, Italians, Greeks, Maltese looking for some way to live; then the boat people, displaced from catastrophes in their own countries, Vietnam, Cambodia, terrible wars Australia had enthusiastically endorsed, before this most recent wave of people fleeing the cataclysms engulfing the Middle East and Africa. All of them moving through the cities of the nation we snatched from the Aboriginal people and settling, wave upon wave of them, anywhere they might stop and catch their breath. So it is that the outer suburbs of Sydney, places like Granville and Harris Park, Cabramatta and Lakemba have once again become the succour of people fleeing horrors those of us who have not suffered them can hardly imagine. In order to be given the opportunity to become good Australians by being mercilessly exploited for as long as they don’t know any better. 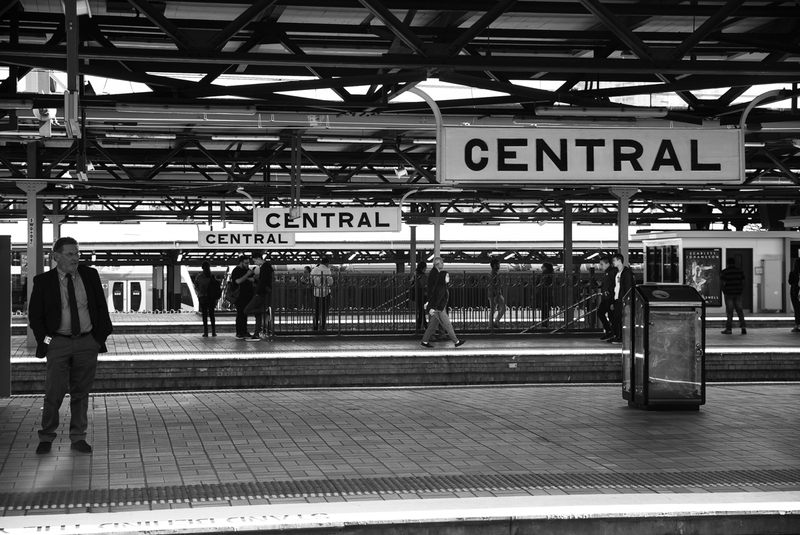 Standing on the platforms at Town Hall and Parramatta trying to get home on Tuesday, January 9, I saw an Australia I don’t think I’ve seen for a while. A divided Australia. 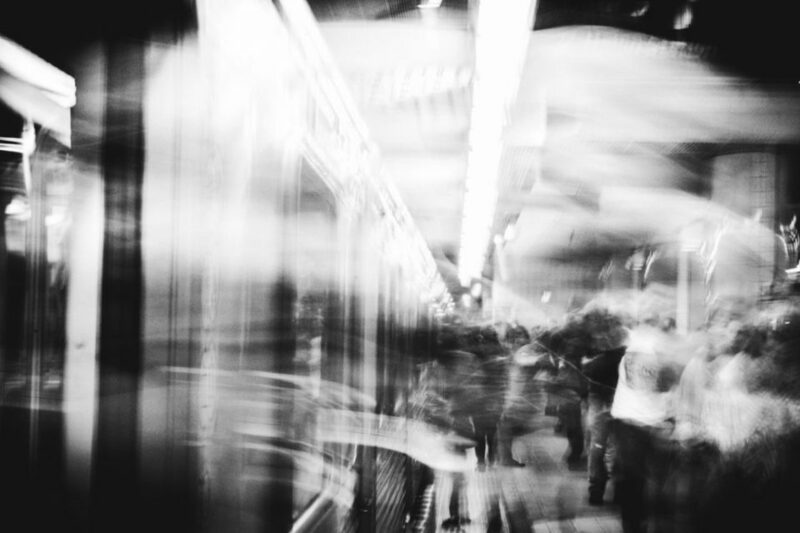 With police and public officials on one side trying to maintain order, and a restless, resentful mass of people being pushed and lied to as the carefully manicured public relations mask of Sydney Trains slipped away – and a far nastier side was exposed. If this government’s war on public property continues, and the rail system is put on the auction block – just like electricity was before, and the Inner West buses and the Land Titles office and on and on, through all and everything that isn’t nailed down – then I expect to see those resentful faces more and more. And the look of hopelessness in that young mother’s eyes as the train pulled out leaving her and her infant child behind. Perhaps that’s something worth thinking about the next time you catch the train. In fact I’d recommend catching a train during peak hour out to these suburbs to any politician who wants to really know where the country’s heading. 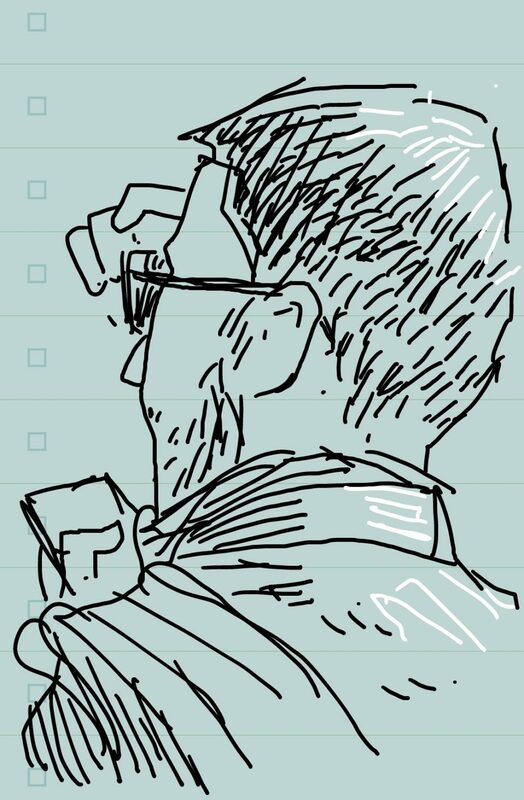 An artist's phone drawings of his fellow train riders reveals a contemporary intimacy with strangers.